Xiaomi launches Soocare X3 electric toothbrush with Bluetooth connectivity and Wireless charging. 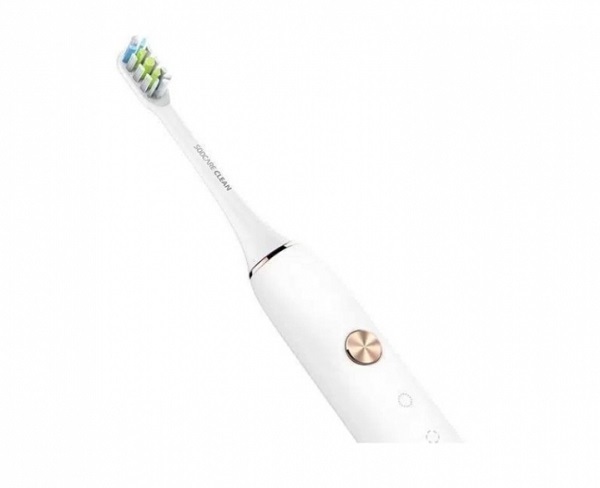 Xiaomi has today launched a new electric toothbrush called Soocare X3 with Bluetooth connectivity and Wireless charging. The Soocare X3 is manufactured by Chinese startup Soocare Cassels and comes with magnetic levitation acoustic wave motor having a swing speed of 37200 times per minute which helps in spinning the bristles. The body of the Soocare X3 comes with IPX7 waterproof rating. To maintain its portability, the Soocare X3 comes with Bluetooth connectivity which helps in connecting it to your smartphone. From your smartphone you can see the battery power left and some other controls. The most interesting aspect is that it supports Wireless charging as well. Also, for the different age groups, there are toothbrush tips and bristle sizes available. Soocare Inter is what works for adults, and the Soocare Mini is for toddlers. To give decent pressure while brushing it comes with 220gf cm high torque output maintaining the swing even when pressure is applied. To keep it compact and portable it is made from 0.152mm soft brush by Dupont, USA. It has a high-density 3D brush head which helps in improving the 40% wool quantity per unit area and with the dual 3D curved design it adapts to the teeth well giving good control while brushing. It is powered by a 1000mAh battery which lasts for 25 days with a full charge. The toothbrush will come to full charge in 16 hours. The Soocare X3 will be officially sold at 10 am on July 19th in Xiaomi store and is priced at 229 yuan or $35 under crowd-funding. The device will start shipping from August.